We came across this interesting thread on the BBC website which refers to a lecture given by Professor David Nutt, of the Advisory Council on the Misuse of Drugs. Professor Nutt used a lecture at King’s College in London and a briefing paper to attack what he called the “artificial” separation of alcohol and tobacco from illegal drugs, accusing ex-Home Secretary Jacqui Smith of “devaluing” scientific research. He also criticizes the scare-tactics of the U.K government on the issue and claims that the link between cannabis use and schizophrenia is hugely over-exaggerated; This story has some traction and has been on rotation on both BBC News 24 and British terrestrial television! It is a blow to the U.K government as Professor Nutt is the new chairman of the Government’s Advisory Council on the Misuse of Drugs – popularly known as the government’s “Drug Czar”. Many observers are worried about the contradictory and incoherent nature of the U.K’s current drug policy which clearly hasn’t worked – The U.K has the 3rd largest cannabis consumption rate in the western world! The Home Secretary has herself admitted to smoking cannabis as a student whilst attending Oxford University – making her a MASSIVE hypocrite – if she had been caught under her own rules, she would never have been able to hold the position of Home Secretary! I also came across a video on the subject… enjoy! Its also interesting to see what the BBC themselves have to say about cannabis, it’s actually a really good, balanced and informative piece which drew a smile from us all! Here’s a piece I found on Marc Emery on U.S TV – it includes an interview with his wife Jodie Emery and is well worth a watch! 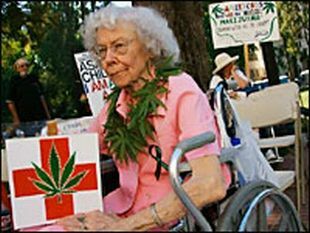 The Obama administration announced today that it will not seek to arrest medical marijuana users and suppliers as long as they conform to state laws, under new policy guidelines to be sent to federal prosecutors Monday 19th October. A 3-page memo spelling out the policy is expected to be sent Monday to federal prosecutors in the 14 states which allow some use of marijuana for medical purposes, and also to top officials at the FBI and the DEA. According to officials, the memo is designed to give a sense of prosecutorial priorities to U.S. Attorneys in the states that allow medical marijuana. It notes that cannabis sales in the United States are the largest source of money for violent Mexican drug cartels, but adds that federal law enforcement agencies have limited resources – It emphasizes that prosecutors have wide discretion in choosing which cases to pursue, and says it is not a good use of federal manpower to prosecute those who are without a doubt in compliance with state law. Cannabinoid patch and method for cannabis transdermal delivery. We found this patent application in the U.S for a cannabis patch similar to the nicotine patch which has been commercially available for years. 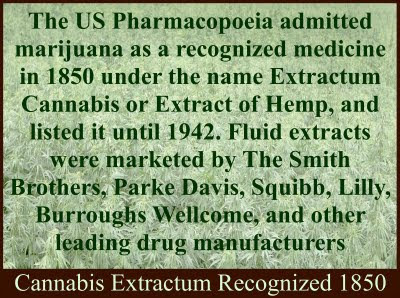 Several companies (and even the U.S government – see our previous article “U.S Government Patents Cannabis“) have recently started to take notice of the medicinal properties of cannabis and have started a rush to patent any possible application of this wonderful natural herb. Part of this trend could be linked to the legalization movement which has successfully highlighted several medical advantages to cannabis over traditional pharmaceuticals, particularly the lack of significant negative side-effects when treating serious illness. Cannabis to be legalized in Jamaica? Exports of Jamaica’s primary agricultural products – sugar, bananas and bauxite – have slumped severely since the start of the global financial crisis. As this crisis deepens, many prominent Jamaicans are calling for the cultivation and exportation of marijuana to be legalized for medicinal purposes.